I think it should by easy. And it… kind of is? Previews Magazine has all of the solicits listed, but you can’t actually buy anything from it unless you’ve ordered months in advance through a direct market comic shop. Otherwise, you’re just window-shopping, without even ISBN numbers to guide you. Plus, the schedule can change literally up until the last day before release. Plus, each publisher releases books at different intervals to the mass market – Dark Horse has some books out this week, DC’s are all next week, and Marvel two weeks from now. No wonder there’s no easy-to-consume list and relatively few blogs covering the entirety of it. Luckily, you have this massively obsessed human being to help you out with that. This post covers all of the collections out this week, explains what they are and what they contain, and provides easy links to Amazon, where you can either buy them or at least get more helpful info like their prices and ISBNs. Valiant Entertainment – No books this week! What are the must-read books this week? 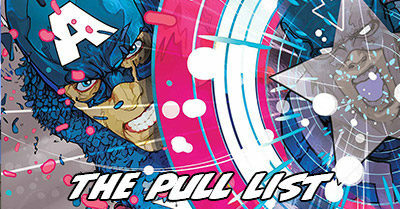 I’ve got two picks this week, and you might be a little bit shocked to learn that neither of them are superheroes! In the US we tend to think of them as collections of individual comics, or less often as singular works like Maus or John Lewis’s March. In Europe, they are “graphic albums” of original work. In Japan, they might be a single Manga book or a massive omnibus. No matter the definition, just as Will Eisner’s historic work helped to define the comic medium in the 40s, so did his graphic novel A Contract with God and Other Tenement Stories literally coined the term “graphic novel” in the US when it was released, partially due to Eisner’s wish that his work be marketed to traditional book shops rather than newsstands and the direct market. 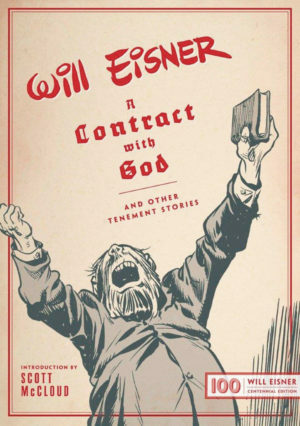 A new volume, Will Eisner’s Contract With God Other Tenement Stories hardcover, collects this work with newly-scanned art and a introduction by comic storyteller and academic Scott McCloud. It is a collection of four grounded, philosophical, and frankly sexual stories from the same tenement building in Brooklyn, occupied by Jewish-American immigrants and first generation citizens. 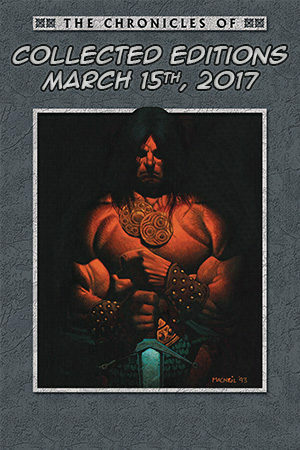 To celebrate it’s release, I crafted my very own Guide to Conan to help you find the 33 other volumes (and what they contain).